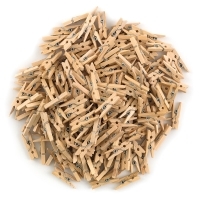 These economical clothespins are made of wood with a metal spring. 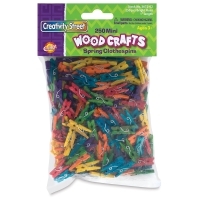 Smoothly finished, they're ready to be embellished with all kinds of craft materials. Choose Large or Mini. 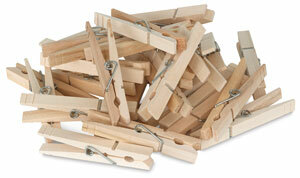 Large clothespins measure 3-3/8" long and are available in a package of 50 Natural. 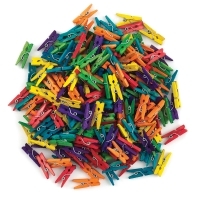 Minis measure 1" long and are available in packages of 250 in Natural and Assorted Bright Hues.